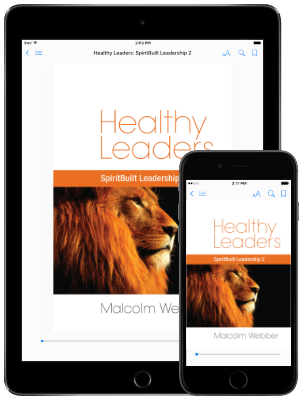 Healthy Leaders - Page 47 of 48 - Be One. Build Many. I know that other artists feel the same spiritual connection that I do while creating. I hear artists talk about it a lot. However, I've noticed that most artists don’t talk about this experience in relationship to Jesus. Today’s ministry leaders face serious challenges. For many, the dream has become a nightmare. This workshop helps ministry leaders to take an honest look at their own lives and ministries, identify and implement strategies for change, and develop a more effective approach to life management in ministry and leadership. Can the church build healthy leaders who are capable of leading like Jesus? This workshop uncovers three key principles for building healthy leaders in the local church. Ask almost any younger mission leader today, regardless of his or her country of origin, “Who is looking out for you and your well-being?” The answer is painfully predictable: “No one.” Younger mission leaders are hungry. They are hungry for in-depth relationships with older leaders who are authentic and vulnerable, and who will serve as experienced guides and shepherds. Awkward moments feel like we’re stepping off the edge of a cliff. Peter, the Apostle is quite famous for his awkward moments. Three times he was interrupted by God – by the Son (Matt. 16:23), by the Father from heaven (Matt. 17:5), and by the Holy Spirit (Acts 10:44). Yet Jesus made it clear that He believed in Peter and assured Peter of his usefulness to care for the flock of God (John 21:15-19; 1 Pet. 5:2-3). Having church in odd places: planes, trains, or mountaintops? This design is great for any group of believers who gather for some quality Bible study together. The great thing is that it is completely portable so you can do it in a workshop, a classroom, a living room, on-line, or on a mountaintop. Observing the global forces in play, the resulting speed of cultural shifts, and the critical nature of emerging issues – our re-shaped context is like no other. Hindsight may be 20/20, but wise leaders also use tools to keep sailing forward in the right direction. They may not have huge binoculars like a seaman, but they do have assessment tools to understand how leader development training is affecting their organization – if it causes a positive effect or a negative effect. Tom discusses the importance of evaluating the effectiveness of leader development events. He notes that discussing reactions, learning, behaviors, and results helps organizations to analyze the actual worth of training, thus holding the organization’s rudder to good stewardship and accountability standards. Most of us are so busy ministering to, or leading and managing others, that we do a poor job of managing ourselves. I want to share powerful principles, from Jesus’ example, for avoiding burn-out ourselves, and to identify the root cause of what often drives us to such destructive lifestyles or behaviors. The practice of hospitality is normative for following Jesus and can be seen in Scriptures such as Hebrews 13:2 and Romans 12:13. In this seminar, we explore what Biblical hospitality looks like and how it can be a natural part of a leader’s life in making disciples. Solomon told us that for everything there is a season. There are times that we need comforting, times that we need to comfort others, and times for growth when we are called to step out of our comfort zones. Kris describes what this means and the blessings God has in store for us when we do.